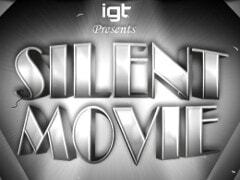 It’s rare that a pokie developer comes up with something truly different, but Silent Movie, from IGT is just such a game. Although the theme is based around the early years of the cinema, the gameplay and bonuses are right up to date, and with so many extra features to trigger, it’s even a little ahead of the times. Filled with images from the movies, along with items like hand-cranked cameras, clapperboards and director’s chairs across the 5 reels, it’s certainly got style, and with the main part of the game framed by a theatre curtain, everything is beautifully presented in a pokie that should appeal to anyone with fond memories of the black and white era. 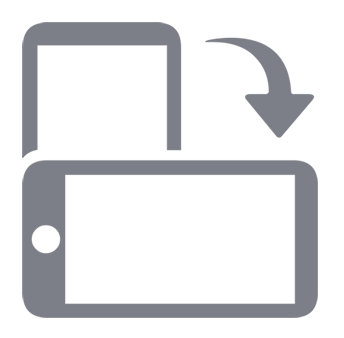 For anyone under 90 years old, there’s still plenty to enjoy, as Silent Movie has lots to shout about, including wild substitutions, scatter pays and 4 bonus rounds, each based on a film and each with their own special rewards. Symbols are lined up over 3 rows and there’s 30 paylines running left to right across the game, all of which are active, giving players a minimum stake of 0.30 per spin. This can be adjusted up to a maximum of 150.00, and wins occur when 3 or more of the same symbols stop across any line on adjacent reels. The director’s chair, camera, clapperboard and loudhailer are each worth the same, with wins of 5x, 20x or 100x the line bet paid out when they land on 3, 4 or 5 reels. The camera is worth a little more, but it’s the silent film stars who we really want to see, starting with a Keystone Kop who pays 20x, 100x or 300x, going up in value through Mabel Normand, the female star of A Muddy Romance, the famous image of the Moon with a rocket in its eye, to John Barrymore in Dr Jekyll and Mr Hyde. He’s the most valuable symbol in the normal run of play, returning wins of 50x, 300x or 1000x the line bet, and he’s also the last symbol that can be substituted by the game logo, which is a wildcard, acting as all the previously mentioned ones to help complete extra winning lines. This pokie, however, is more about the abundance of bonus rounds than anything, and these are triggered by the movie ticket scatters. Three movie tickets on reels 2, 3 and 4 are all that’s needed to win 3x the total stake, and then enter a bonus game, but the round that’s triggered depends on which film is featured on the scatter that stops on reel 4. Enter the terrifying world of Dr Jekyll and Mr Hyde, and players will get to pick another ticket which will award between 3 and 6 WinSpins, which, as the name suggests are guaranteed to land a winning combination. Further WinSpins can be triggered by more tickets, plus there’s an extra wild in play, and all payouts are tripled from the base game. Taking the Trip to the Moon bonus round will see 10 to 15 free spins, during which additional wilds should help players land more frequent wins, and again, these can be retriggered from within. A Muddy Romance has up to 12 free spins and because there’s extra scatter symbols on the reels, it’s easier to retrigger the games over and over for plenty more winning chances, while also within this round there’s Super scatter wins that will return up to 250x the total stake. If the mad world of the Keystone Kops is awarded, players will see the reels spin 10 times and any wins will be multiplied by a random number between 2x to 5x for the first half of the round, and by 4x to 10x for the second half. Like all of the bonus games, it’s possible to retrigger them with any 3 more movie ticket scatters. This is an outstanding game that captures the spirit of the pioneering days of cinema. It comes complete with a suitable music-hall type soundtrack and even when it’s loading up, it looks like the countdown to the beginning of an old film. While normal gameplay is excellent, the bonus games are absolutely outstanding. Having not just 1, but 4 different free spins games, each with their own rewarding twists, is a real highlight of what’s already a top-quality pokie. Normally, it’s right to point out some downsides, but in this case, it’s hard to think of any. The wild symbol isn’t worth anything on its own, and maybe the whole theme won’t appeal to younger players, but there’s not much else that can be levelled against Silent Movie.